Take 1 capsule daily, 20 minutes before bed. 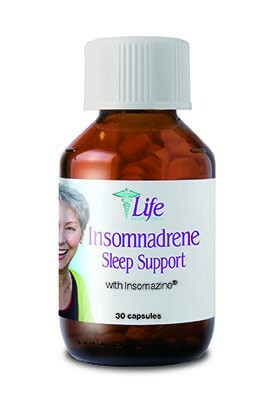 Active Ingredients: Insomazine (a pH controlled matrix containing melatonin, valeric acid, valeriana officinalis, mayblossom, vitexin-2-rhamnoside, calcium gluconate, magnesium gluconate & 5-Hydroxy-L-tryptophan). Inactive Ingredients: Magnesium stearate.